A beautiful sitting mermaid with the wind in her hair, very art deco in style. 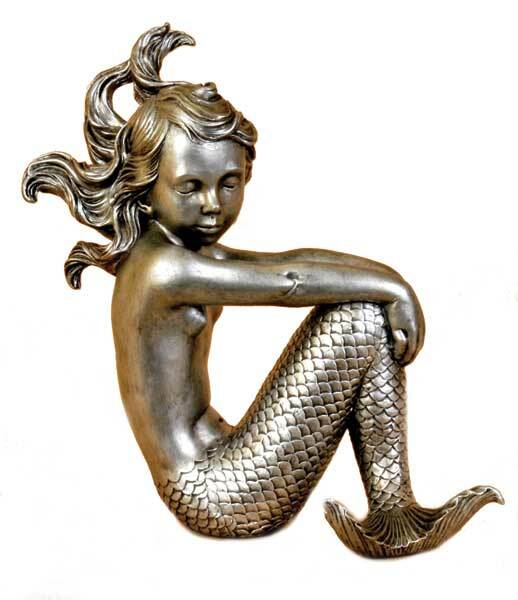 Mary is a very popular gift, made from resin and finished in silver. White rabbit from Alice In Wonderland small metal sign.